The use of contemporary technics of composing in this duet allows to find some liberty for the two saxophonists : micro-intervals (but not in the whole piece), groups of notes accelerating ou slowing down, and overall non-measured music. The musicians are encouraged to find a common timing. More : the writing of nuances is very precise all along the music, and the different kinds of vibrato are explained (slow/medium/fast, with large or small amplitude) everywhere it is used. 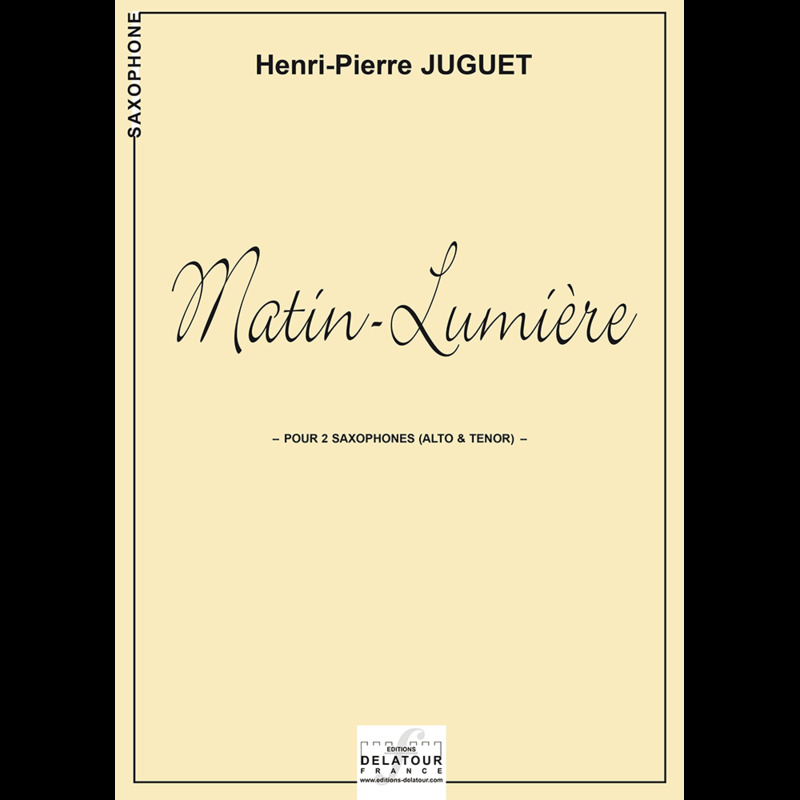 The duet was composed for a contest, and first public performance was during the "Symposium of contemporary saxophone" of Angoulême (France) in 1986.